Because they have come to us individually, no one’s gift is like any other’s. 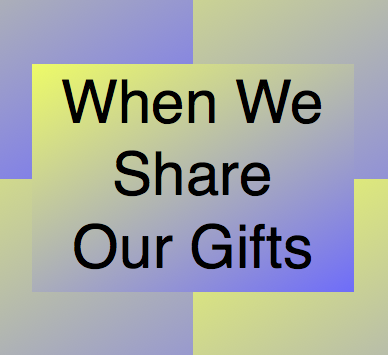 Rather than conflicting or duplicating, each of our gifts fits together with all of the other millions and billions of gifts in a unique way. 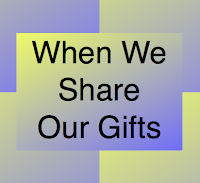 You see, w all complement and support one another with our gifts. Instead of the view that we are all using up limited natural resources and cannot be supported for much longer, we are actually translating our gifts from Infinity into practical purpose. Our love, compassion, generosity and kindness lead us to do our work in the ways that must bless, inspire, uplift, protect, and cherish us all, everyone.